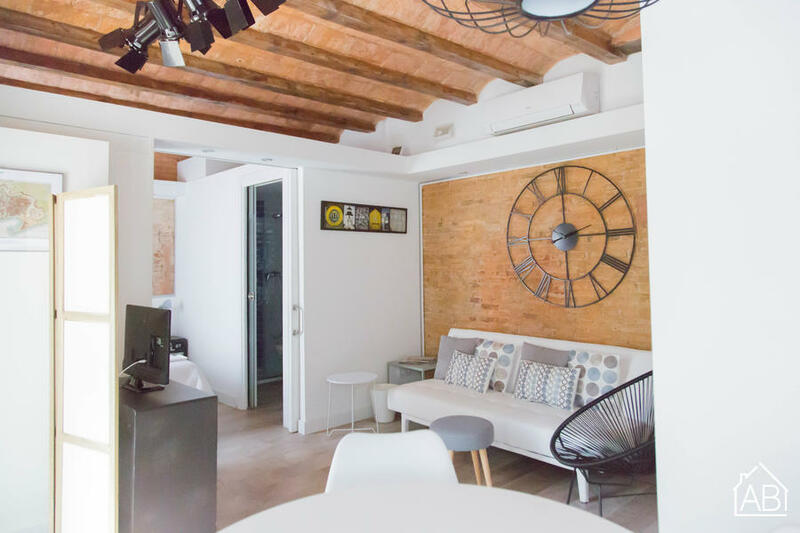 This is a cozy apartment located just steps from the beach in Barcelona. The area is well known for its great bars and restaurants, and there are plenty of supermarkets, too. Downtown Barcelona can be reached in a matter of minutes on foot, and there are many public transport connections to take you into other parts of the city and the surrounding areas. This lovely apartment has been recently renovated with a modern décor and sleek open-faced walls. It has a double bed, making it ideal for couples or those looking to live alone. Air conditioning, a washing machine and an Internet connection complete this home-from-home.